There is a more methodical, guilt-free approach to conducting a research assignment that will not only feel better while you are doing it but, importantly, allow you to achieve your academic goals. Follow these steps to stress-free, excellent work: deciding, finding, using, presenting, evaluating. Before we begin, in order to manage your stress and create your best work, you might like to think about submitting work before its due date. WHAT!?! No really. This is like those people who are always on time because they set their watches 3-minutes fast. Everything always takes longer than you think. Aim to have an assignment done two or three days before a due date and you will be prepared for the re-write that becomes necessary as you get two-thirds of the way through completing your work. When you are given a topic, work out what you know about it or gain a general understanding using online encyclopedias and then work out what the main issues are and, of those issues, which one you will form an argument about. You will need to have a clear idea of this as all the information you present will be relevant to this argument and, hopefully, persuasive to your angle on it. Once you have decided on your argument (also called your contention), write an essay plan that identifies paragraph-by-paragraph the points that will make up your argument. Now is the time to move from the general to the specific. Sites like Wikipedia and search engines like Google will be able to give you a general idea about a topic but only academic resources (published books, text books, encyclopedias, sites produced by academic institutions, journals and newspapers) will be reliable enough to fill out the specifics of your argument. Using primary sources – those arising from the event itself – is double-plus good for supporting your argument and will get marks literally dumped on you by a truck but these are hard to track down. Speak to your teacher about what primary documents might be around for the topic that you have chosen. To find both primary and secondary resources, carry out a subject search on the library’s catalogue and use some advanced Googling. Secondary resources should be published by a reliable organisation, free from bias, error-free and current. The author should tell you where they have gotten their information from and give you references to follow up. For your own piece of mind, you should be able to confirm information by using other sources, especially regarding contentious points. You will not have the time to read everything that was ever written on a subject so don’t try. Well written information will include a topic sentence at the beginning of each paragraph – if that sentence is not relevant to your argument, move on. Make notes on your plan that link pieces of information and quotes to your arguments. 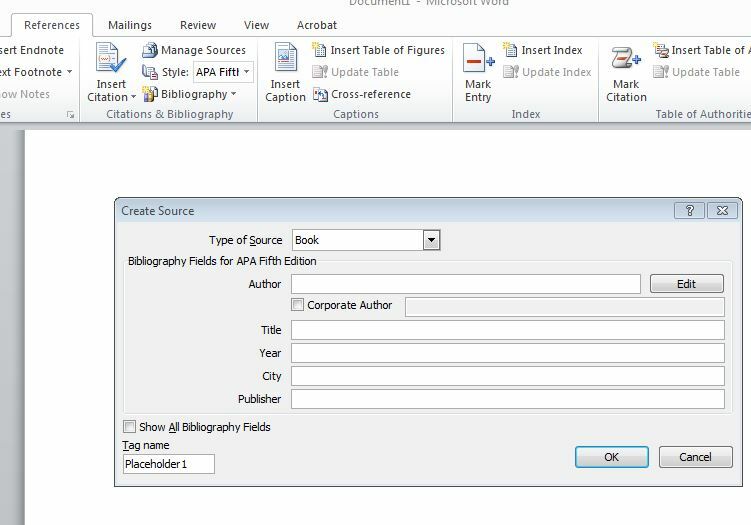 You will need to know the publisher, date of publication, author, place of publication, page number and, of course, the title in order to write a proper bibliography. For websites, you will need to also know the date that you viewed the information and the URL. Use the bookmark function on your browser or online bookmarking sites like Delicious to keep track of these so you will have the information when you need it. Different subjects have slightly different requirements for the format of this information so make sure that you check with your teacher what these are – there are generally marks to be had if you do this well and you can certainly lose marks if you do this poorly. MS Word has excellent facilities to create your citations and bibliography for you so there are really no excuses. There will be restrictions on how much of another person’s work you can use. Generally no more than %10 of your work can be taken from another source. Parroting from one source will not gain you marks anyway, you add value to information by analysing it or synthesising it with other information – if you haven’t done this, you haven’t created anything. Use quotes sparingly and link ideas to support your arguments. If you are worried that you might have gone a bit quote-crazy, run your assignment through something like PaperRater, a website designed to detect plagiarism in academic work to ensure that your work is sufficiently made up of, well, your work. The nature of your presentation will be explained by your teacher. Use the information about the assignment to guide your work. There is no point in spending heaps of time creating diagrams, for example, if you are only going to marked on what you write. Marking rubrics, assignment sheets, feedback on previous pieces of work and presentations that the teacher gives will inform you of what they are looking for – ignore this at your own peril. The work you submit should have been read through in it entirety before it is submitted. You will not want to do this because it will mean that you will need to change things. Do not worry, it is never as bad as you think and you will generally be surprised by how wonderful you are. Get your mum, dad, older brother, tutor, friend to read through it and give you feedback but make sure that they have read the assignment information first. Take the time after you have been given work back to read the comments. These should form a picture of the type of student you are. If you are regularly being told that your work lacks research, do more pre-reading, if it is covered in red underlining, work on your expression and proof-reading. If you are unhappy with your result, make sure that you discuss it with your teacher and ask about the possibility of a resit. Only do this if you really intend to address the issues raised by the teacher – if you intend to do exactly the same thing you did the first time then don’t bother. Sometimes a resit will not be possible and you will need to make sure that issues with the piece are improved upon in future work. There is no need to let yourself get overwhelmed by research. Following the steps above will help you to break your task down into manageable parts. Have fun with it and don’t forget, it’s your library! Thanks Tim – I will use this with my students. Nicely done!